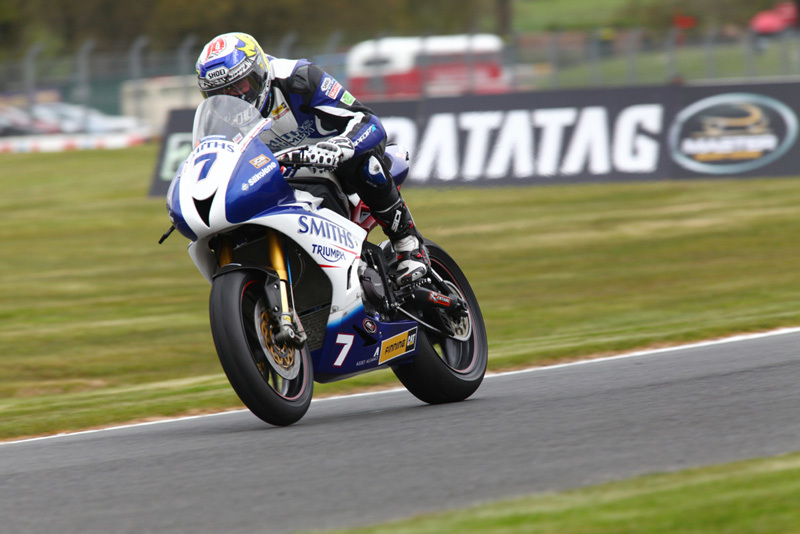 Tommy Bridewell claimed his first win with the Tyco BMW team in the opening MCE Insurance British Superbike Championship race at Oulton Park, holding of the hard-charging Josh Brookes to be victorious by 0.160s. 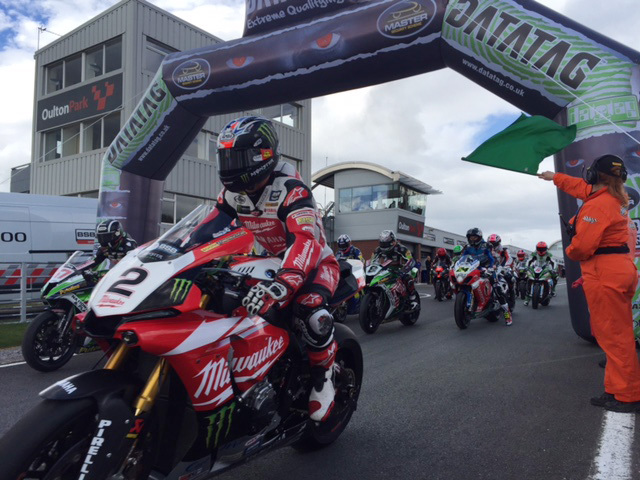 On the opening lap Brookes had taken the advantage on the Milwaukee Yamaha from the pole position, but Bridewell soon made his move to push ahead. There was drama on the first lap for several contenders as Broc Parkes and Jack Kennedy at Hizzys Chicane, followed by Danny Buchan at Druids with all riders unhurt. At the front Bridewell was trying to break the pack as Brookes, Shane 'Shakey' Byrne, Stuart Easton and Ryuichi Kiyonari gave chase. 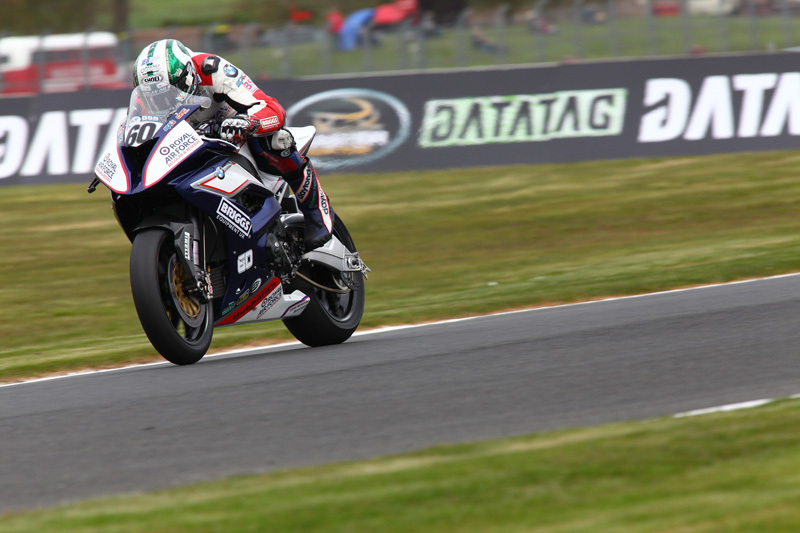 The gaps were fluctuating between the top five riders, but the Tyco BMW maintained his cool to stay ahead. Brookes was piling the pressure on Bridewell, but it wasn't enough and he had to settle for second behind his former team-mate who claimed his first MCE BSB victory in dry conditions. Byrne had held off Easton on the second PBM Kawasaki to claim the final podium position with Kiyonari completing the top five. Bridewell said: "It makes a change to be at the front as normally I am sat behind these other guys and struggling to hold on! All credit to the Tyco BMW team as the bike was working phenomenally. We had struggled in the first two rounds as we had to run the hard tyre and I knew where I was losing the time. We ran the zero today and I knew the lap times we could do and I just raced my lap timer in that one. "I was watching my board, Josh's board, Shakey's and Stuart's too, thinking right I know what is going on behind me. It was a matter of trying to save smooth and conserve the tyre, but that all went out the window so it was sideways and holding on for dear life really! I keep my feet on the floor but I think that is one of the strongest races I have ever run. If it is good enough again for race two then great because we have had a good go at it." 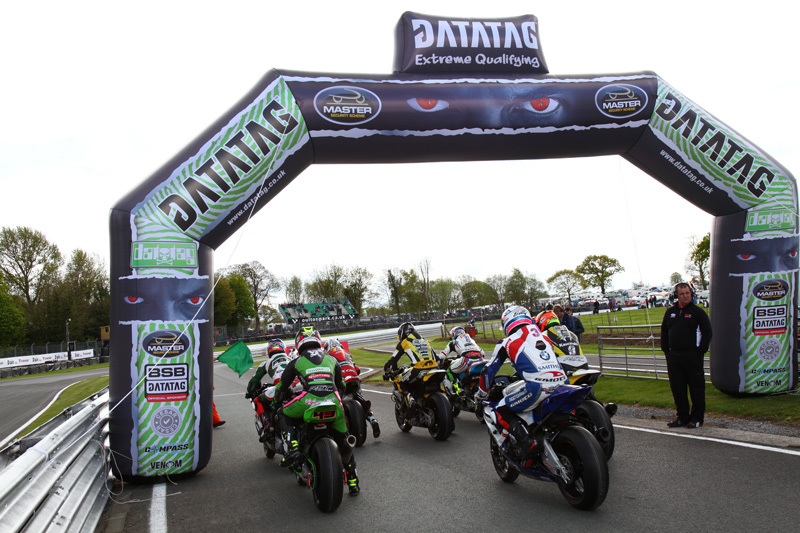 James Ellison had a race-long duel with Jason O'Halloran to claim sixth place for the JG Speedfit Kawasaki team and behind them there was a titanic scrap for eighth place between Michael Laverty, Howie Mainwaring and Richard Cooper who completed the top ten. 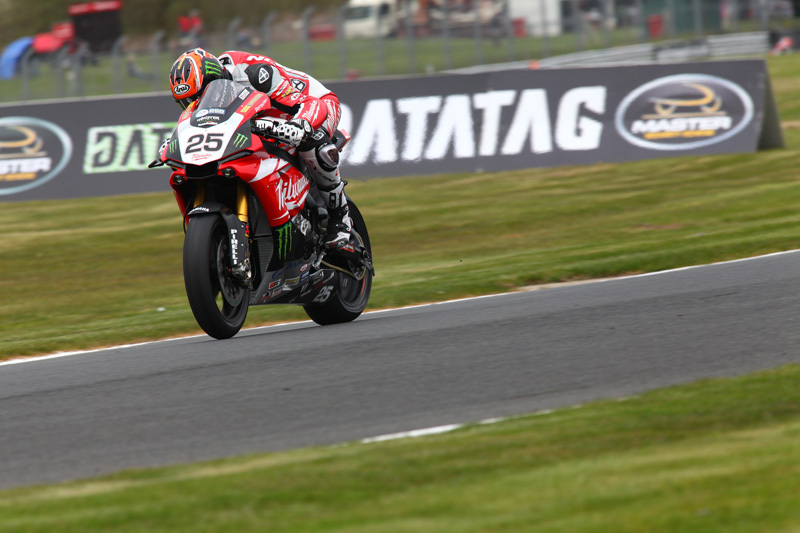 Josh Brookes will start from pole position for the opening MCE Insurance British Superbike Championship race at Oulton Park tomorrow (Monday) after setting a lap under his existing circuit record to celebrate the team's first pole start for the new Milwaukee Yamaha. Brookes had topped the official test last week and headed into Datatag Qualifying feeling confident, posting his flying lap in the early stages of Q3 to dip into the 1m:34s lap times for the first time this weekend. 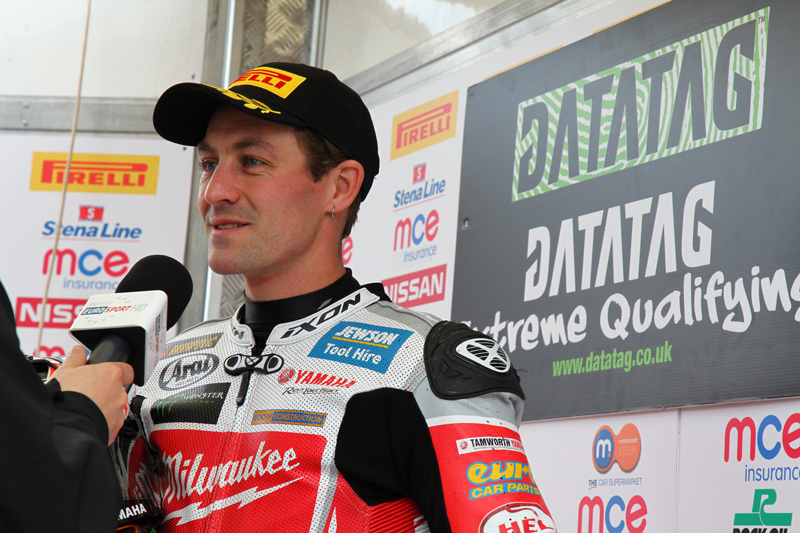 Brookes said: "I am really pleased to get my first pole position of the season for me. It is always something you want to achieve, and it isn't always the most crucial part of the weekend, but it is a nice feather in the cap. I am a bit surprised to get pole as during the earlier sessions both Kiyo and Shakey have also been there and I expected them to pull something special out in qualifying. "We have had to change out set up a bit and we came here and where the track conditions have been changing we had to alter the bike a bit, so we have been putting the pieces together. We made some changes before qualifying and it really felt like the bike I was looking for. "It felt like quite a clean lap in Q3, so I was happy considering the conditions were changing. These guys are all so close - it was point nothing in it and it is obviously going to be really close in the races too as all of us on the front row can do the lap times and Shakey and Kiyo won't just disappear, so it is going to be as I predicted - a good few of us in for the battle." Brookes was pushed all the way for the third pole position of the season as Tommy Bridewell came to within 0.014s of snatching it away in the closing stages of Q3 for the Tyco BMW team as they scored their first front row start of the season. 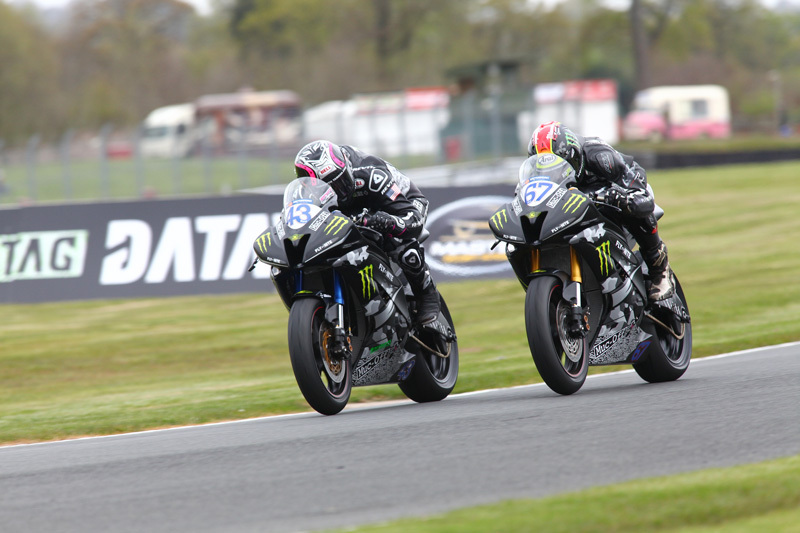 The pair will be joined on the front row by the PBM Kawasaki of Stuart Easton as the Scottish contender saved his best lap until last to push Ryuichi Kiyonari back to the second row, claiming his first top three qualifying position of his campaign. 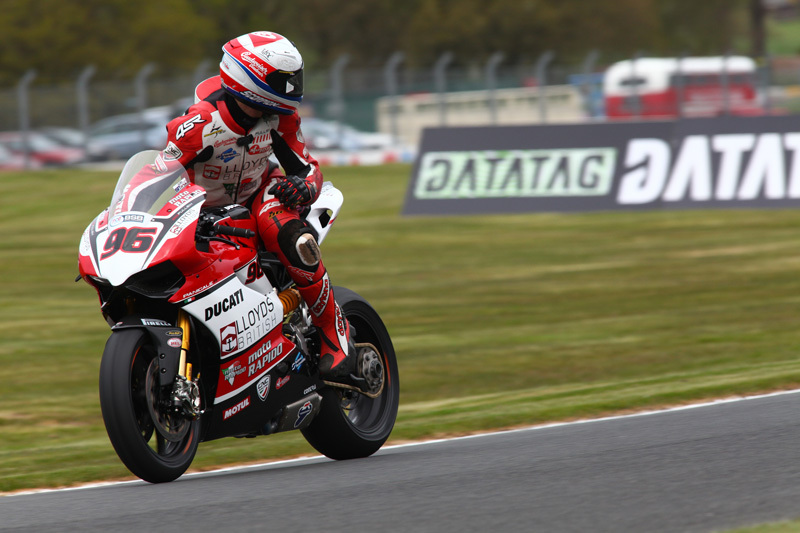 Kiyonari had held off Shane 'Shakey' Byrne and the defending champion will start from the second row for the second consecutive round on the second of the PBM Kawasakis with Brands Hatch pole-sitter James Ellison completing row two. Jason O'Halloran overcame a huge moment in Q3 on the exit of Shell to regain composure and post the seventh fastest time after saving a crash to keep Michael Laverty in eighth as the Tyco BMW team had both riders in Q3 for the first time this season. 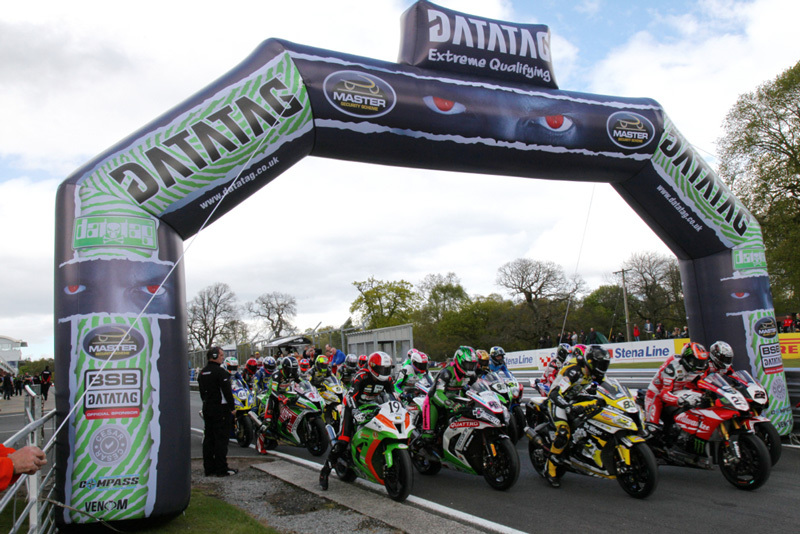 Danny Buchan and Billy McConnell completed the top ten ahead of tomorrow's opening Bank Holiday race.